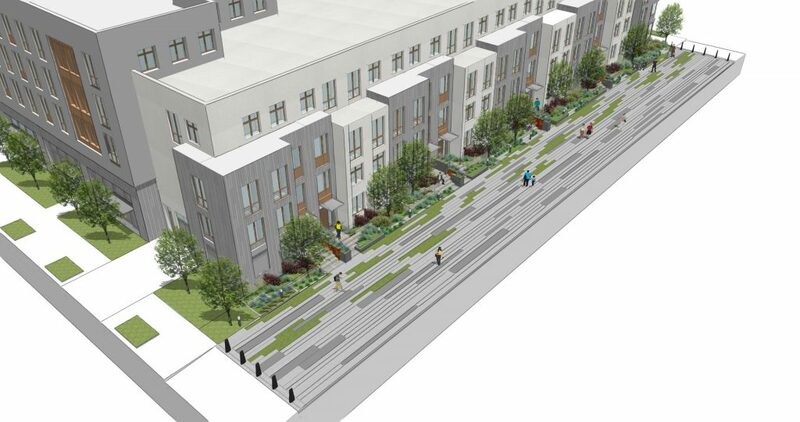 The mid-block break separating Blocks 9A and 9B is envisioned as a pedestrian mews allowing unrestricted public access through the middle of the block. Closed at each end to vehicular traffic with removable bollards, the 26-foot-wide paved walking surface accommodates access for emergency vehicles and fire trucks. 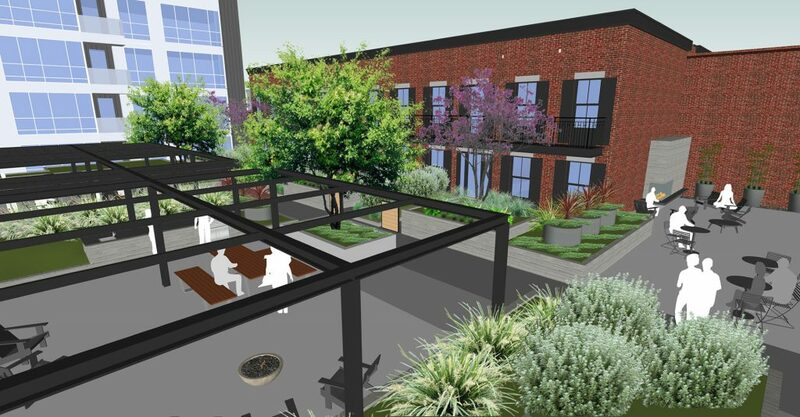 Working within the limitations of the EVA lane, areas of grass pavers have been introduced extending greenery into the mews and connecting to the landscaped buffer adjacent to the building. 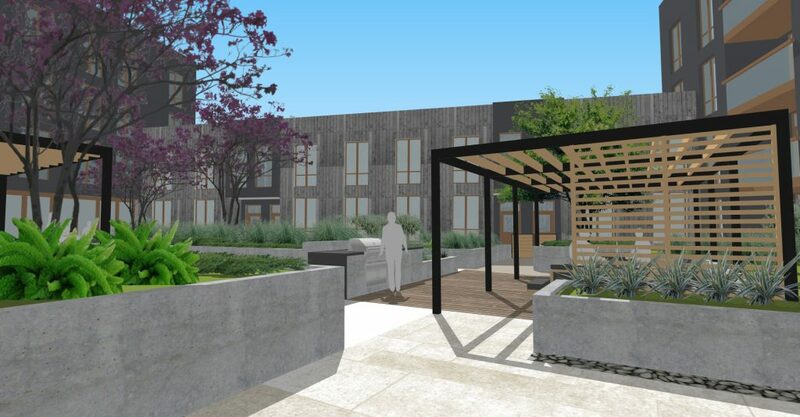 Raised, private stoops to the townhomes face the mews and with the open space requirements being met with a combination of the common-use podium courtyard and private balconies, larger areas of planting are provided adding a generous buffer between the building and pedestrian path. Series of lushly planted, tiered and staggered planters soften the stoops and building façade and add to the visual appeal. 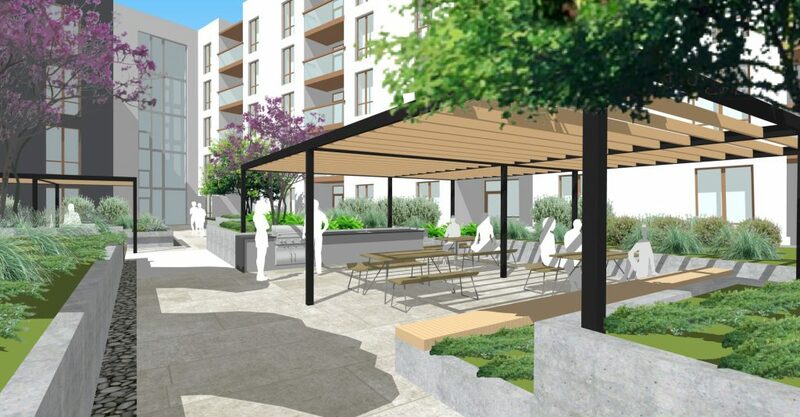 The planters step down rendering the entrances easily identifiable and visually accessible from the pedestrian path. 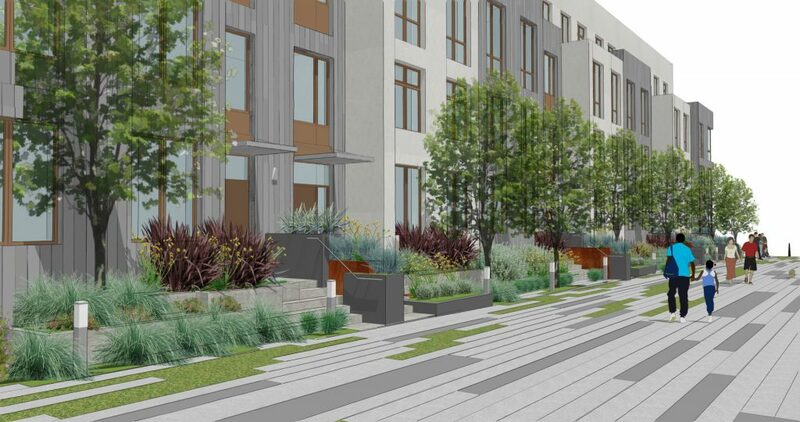 Trees are planted at-grade and within the planters, matching the modules of the townhouses. Lighted bollards, steps lights, and building mounted lights illuminate each entry and the length of the mews.